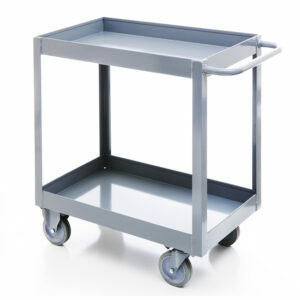 We offer a wide variety of specialty service carts. 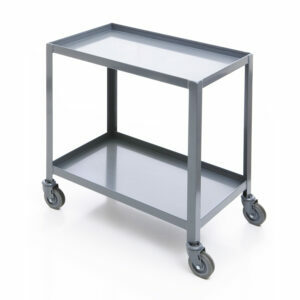 In addition, we can work with you to build a customized cart that fits your specific needs. 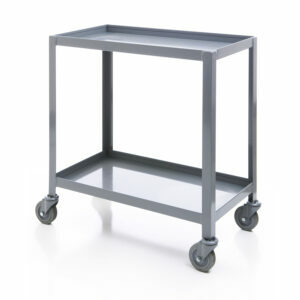 All welded, heavy duty construction made with 14 gauge steel pans 1 ½” deep with 4” swivel casters. 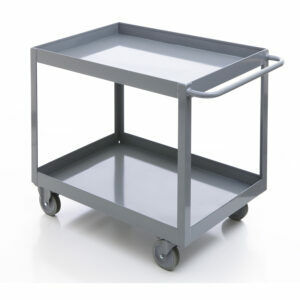 All welded, heavy duty construction made with 14 gauge steel pans 2 ¾” deep with two 5” rigid and two 5” swivel casters. 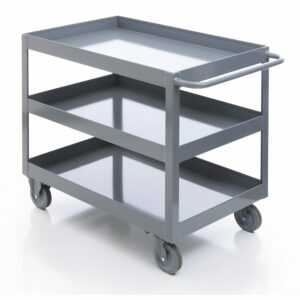 Push handle on the swivel end is standard on all heavy duty carts. 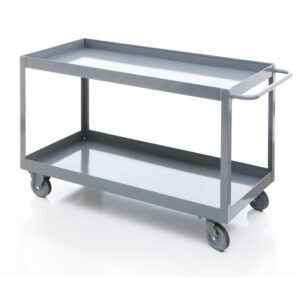 Pans may be reversed on request and extra pans are available. 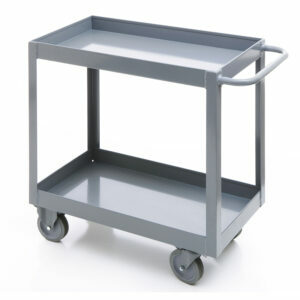 Specify lips up or down when ordering.